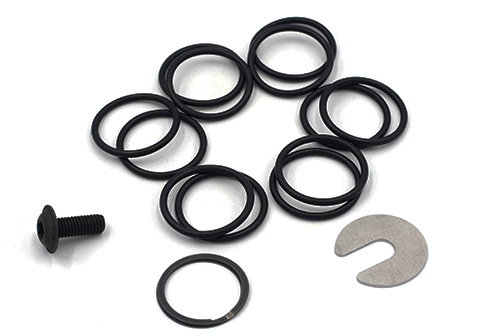 These O-rings will replace any worn, deformed or lost rings from any JP Silent Captured Spring or Variable Mass Operating System (VMOS™) bolt carrier. Replacement of O-rings should take place when you start to see fraying or cracking of the rings. This will happen sooner in the case of 9mm carbines, around 5000 rounds. This pack of 12 O-rings also includes one spacer shim for the JPSCS to achieve proper fitment and a replacement retaining screw.